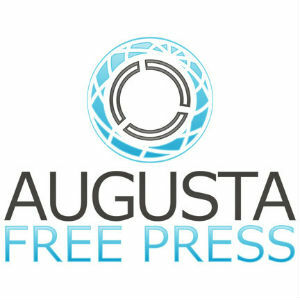 Augusta Free Press staff writer Scott German leads our live coverage of today’s ACC football clash between UVA (2-5, 1-2 ACC) and Georgia Tech (3-5, 1-4 ACC). Kickoff at Scott Stadium is at 3 p.m.
Date/Time Sat., Oct. 31, 2015 | 3 p.m.
Game Preview: UVA, in 2011, had a bye week to prepare for the Georgia Tech triple-threat option, and then-defensive coordinator Jim Reid had the ‘Hoos prepared. 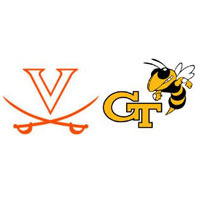 The Yellow Jackets did their usual gashing, gaining 272 yards on the ground, but the Virginia defense was generally stout, limiting Tech to 296 total yards in a 24-21 win. Paul Johnson has taken out his frustrations on Virginia since, winning the last three games in the series by an average of 24 points, including a 35-10 mauling in Atlanta in 2014. The two teams come into Saturday’s matchup in Scott Stadium on somewhat equal footing – both with five losses against tough schedules (UVA’s schedule is ranked 26th nationally by the ESPN Power Index, Georgia Tech’s 35th). The one difference – Georgia Tech (3-5, 1-4 ACC) has the one marquee win, a 22-16 win over Florida State on Saturday. Virginia has a close call against Notre Dame, a 34-27 loss in Week 2 that came on a last-second touchdown pass. Notre Dame, the next week, pummeled Tech in a 30-22 final that wasn’t nearly that close. Georgia Tech played North Carolina better, blowing a 21-point lead in a seven-point loss, and both were in their games in the fourth quarter with Pitt. Virginia’s lone FCS win came two weeks ago in three overtimes against Syracuse. 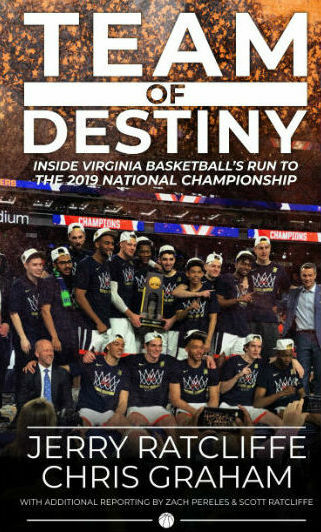 Aside from the 56-14 meltdown at home against Boise State, the Cavs have been relatively competitive in 2015, just not nearly competitive enough to quell the talk that this will be Mike London’s final season in Charlottesville. The Jackets are a five-point favorite coming in. UVA offense vs. Georgia Tech defense Virginia seems to have figured out what it needs to do to be able to run the ball, gaining 205 yards on the ground in the 26-13 loss at UNC last week and averaging 176 yards rushing per game over its last three. The issue now is quarterback Matt Johns, who threw four second-half interceptions last week, and has 12 picks on the season. Johns has been regressing big-time since solid, if unspectacular, efforts in Weeks 1 and 2 against UCLA and Notre Dame. The Georgia Tech defense is 10th in the ACC in total yards (359.6 yards per game) and scoring (26.0 points per game). Georgia Tech offense vs. UVA defense Run, run, run. The Jackets, not surprisingly, lead the ACC in rushing (283.4 yards per game). Georgia Tech is fourth overall in the conference in scoring (35.1 points per game). Marcus Marshall is the big-play threat (508 yards, 8.9 yards per carry, four touchdowns). Quarterback Justin Thomas is the team’s second-leading rusher (400 yards, 3.7 yards per carry, six TDs). Thomas isn’t much of a threat in the passing game (44.1 percent completion rate, 10 TDs, six interceptions, 126.6 passer rating). Watch out for Ricky Jeune off the play-action (21.3 yards per catch). The Virginia D is getting better of late, but is still ranked last in the ACC in total defense (414.3 yards per game) and scoring defense (34.7 points per game). Special Teams UVA punter Nicholas Conte averages 46.0 yards per punt, and six of his 27 kicks have been downed inside the 20. Placekicker Ian Frye is 8-of-11 on field goals, but is just 1-of-4 on kicks longer than 40 yards. Georgia Tech punter Ryan Rodwell averages 39.7 yards per kick, and eight of his 28 kicks have been downed inside the 20. Tech placekicker Harrison Butker is 7-of-10 on field goals, with four makes of 40 yards or longer, including a 2-of-3 mark from 50+. How This One Plays Out UVA has been playing better on defense of late, but you have to throw that out in prefiguring how it will fare against Georgia Tech, because nothing you do the other 11 weeks translates at all to Georgia Tech week. If there’s one silver lining, though, playing a triple-threat option team gets Virginia’s worst unit, its pass defense, out of the crosshairs for a week. Another silver lining: Georgia Tech hasn’t been stopping too many people this year, either. The game will come down to mistakes: who makes them, who doesn’t, who can take advantage. Matt Johns absolutely has to avoid having the kind of game he had against Boise State and UNC. To be honest, he needs to play like his job is on the line, because it should be. Virginia can hang with Georgia Tech, and will. But can the ‘Hoos play four quarters? The thinking here is that they can. 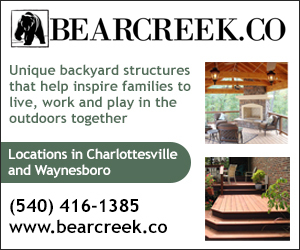 It’s the 25th anniversary of the darkest day in Virginia football history. I was a first-year student in the fall of 1990, when a #1 UVA team blew a 28-14 halftime lead in a 41-38 loss to Georgia Tech, who went on to win a share of the national title that year. A win Saturday will fall far short of gaining any measure of revenge for that day, but we’ll take what we can.